In the summer of 2017 Fluid Intelligence carried out a quite comprehensive statistical study of mobile machinery oil conditions after oil changes together with its customer. The aim of this study was to determine better methods to collect oil for oil recycling. The project generated interesting comparative information on oil condition at the time of oil change. This article presents a short description of the research, conclusions and alternative strategies for action. The material was about 110 samples and contained samples of 20 subjects. There were a total of 15 oil types, half of which were engine oils and half of transmission and hydraulic oils. Various tests were made of the material depending on the object's oil. All the samples were measured ISO VG viscosity at 40 and 100 degrees Celsius, and the viscosity index was determined. In addition, ICP additive and wearing metals were measured. The maintenance principle was, according to the schedule or during the breakdown of the machine, an oil change. Samples were taken with oil change or maintenance. The overall results were interesting though not surprising. The most significant finding was that the viscosity had become unusable, ie the ISO VG recommendation exceeded ± 10% in only eight cases (7%). Due to impurities, oil inoperability appeared in 73 cases (66%). Useful oil was changed in a total of 30 cases (27%). Additives were equivalent to new oil in all machinery. In a large number of samples, the amount of contaminants was alarming. This is mainly due to the challenge of the operating environment. When considering the nature of impurities, it was found that there were significant differences of the types by the applications. On the other hand, the lack of viscosity changes surprised when research was carried out. The usefulness of the oils was not affected much by the end of the oil characteristics but by the impurities from the environment. Several types of impurity were found, most of which were sand / rock dust, metals and water. Additionally, additive and wearing metal compositions revealed that 40 subjects (33%) were developing a serious injury. These require immediate attention even if the hardware is useful at the time of the oil change. The additive concentrations had remained relatively stable in all machines. In the purity analyzes, it was noteworthy that there were little oil obsolescence in the contaminants due to the short change intervals and the younger generation of the machine fleet. There were significant differences in the oil condition of the objects. Very often, the poor level of oil (38 samples) was combined with clear signs of developing equipment failure (30 items). In order to maintain operational reliability, these objects should be performed an extensive maintenance and, in the event of oil change, the oil system flush to prevent potential damage. In only eight locations there were no signs of equipment damage in the oil. On the other hand, all the serious pollutant results and their root causes should be explored, and considered how to prevent serious contamination that could endanger the purity of the oil. Paying attention to the accumulation of pollutants is a proactive and cost-effective maintenance service at its best. The deterioration of the oil condition has a serious impact on the operational reliability of the equipment and thus on the operational performance and profitability of the business. Oil core tasks include, for example, separating different metal surfaces by lubrication film, power transmission, and heat transfer from the object. All of these are tasks where impurities weaken the performance of the oil. The accumulation rate of impurities depends on the source of contamination and the accumulation process, which may vary considerably by applications. The most serious consequences are with heavy impurities, such as metals. Also, softer impurities may cause problems when they accrue to the bearings and valves, hampering the cooling and the sliding surfaces. It is possible to address the problems identified in the research through a variety of strategies. 1. Prevent the accumulation of pollutants in oil systems by ensuring the tightness of the systems and the flow of filtration. 2. Maintain the oils of the objects clean by treating the oils with clean containers. 4. Monitor the operating condition of the oil in a systematic way and deal with deviations in time. 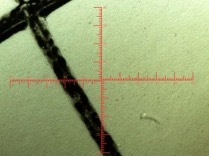 Oil contaminants in the investigation affected most of the reliability. Viscosity was a problem in only a small part of the subjects. Based on the extensive data analysis data, we gained an overall picture of the situation and made it possible for a planned and continuous improvement. This study created the basis for getting an idea of the life cycle cost of the oil in the site. On the basis of increased knowledge, maintenance strategies can be further developed in anticipation of optimization of both cost and operational reliability. In the future, the condition of the objects will be periodically monitored at the same extent and it will be studied which practical effect on developed service strategies is to have to the oil condition of the equipment. More results later this year. More information can be obtained from the study by sending us a message.